Note: You can also visit our website dedicated soley to explaining the Snap In Dentures ! Implant Retained Dentures: What are they and what are their main benefits? You can choose the size, form and color of your new teeth on your palateless denture. Make the custom smile of your dreams! Cheaper than in the USA and Canada. Our prices are much more affordable than in other countries, but our quality is the same. You could save up to 70% compared with dentists back at home. Imagine the ability to eat virtually anything and enjoy social occasions without worrying for a moment about your slippery dentures! Snap in Dentures can be a life-changing experience for patients who wear dentures or have experienced tooth loss. Attached securely to surgically placed mini implants, these mini implant dentures provide increased stability, comfort and confidence — along with a beautifully complete smile. 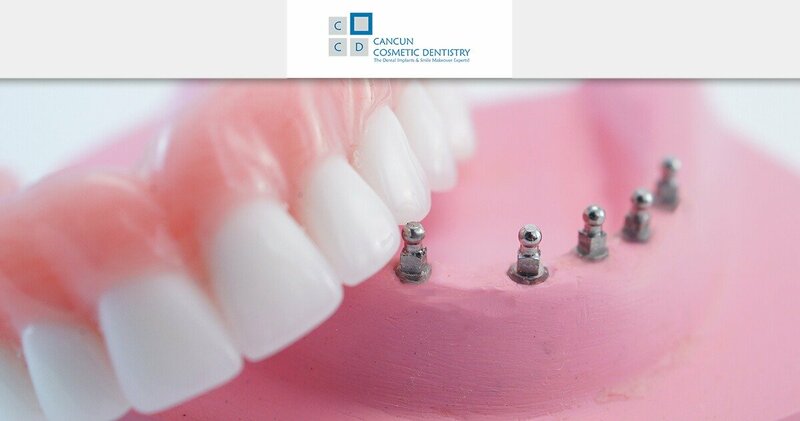 Implant-supported snap-on dentures are offered by Cancun Cosmetic Dentistry, whose practice focuses only on work with snap in denture patients. Mini Dental implants are small titanium posts that are surgically placed or implanted in the jawbone to help as artificial roots for crowns, dentures, and bridges. 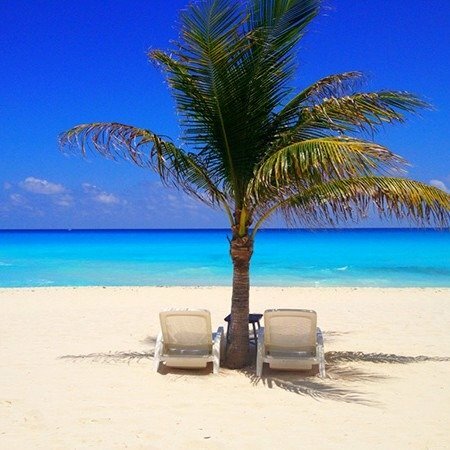 Mini implants are similar, except the titanium posts are quite a bit smaller (perfect for people with narrow bone), and can be placed and restored in just eight days while you enjoy Cancun. The mini-implant process is less expensive and less invasive than that of regular size dental implants, so extended recovery time is unnecessary. In some cases, we can modify your existing dentures to snap onto mini implants (thanks to the housings), and you can walk out of the office the following week after surgery with a securely attached new smile. Additionally besides providing a strong base for your dentures, mini implants also serve to help your jaw retain bone density and avoid bone loss. The mini dental implants stimulate the bone when you bite and chew, similar to the way natural tooth roots function, and prevent the loss of bone mass that can result from missing teeth. IF YOU ARE LOOKING FOR A FIXED BRIDGE SOLUTION, YOU ARE PROBABLY LOOKING for the ALL-On-4 dental implant procedure, which is also a fantastic solution! 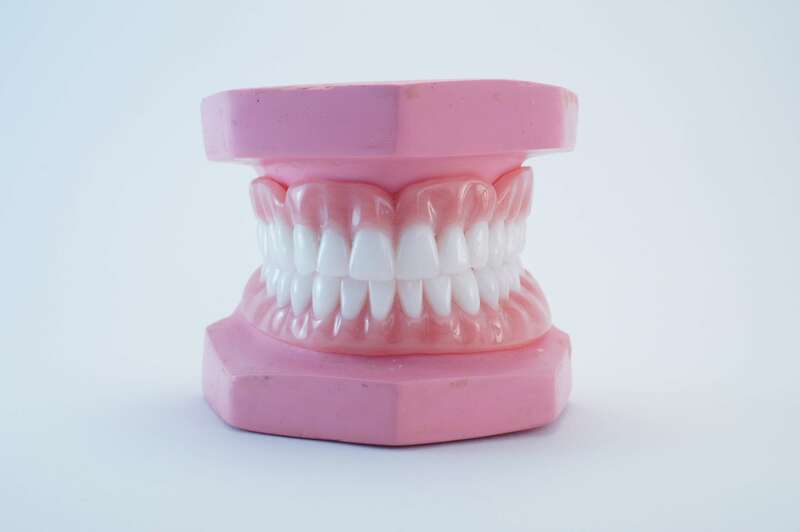 Click on this link to learn more about these denture implants.